A 14 year old boy is bought to ED with a 4 day history of fevers. 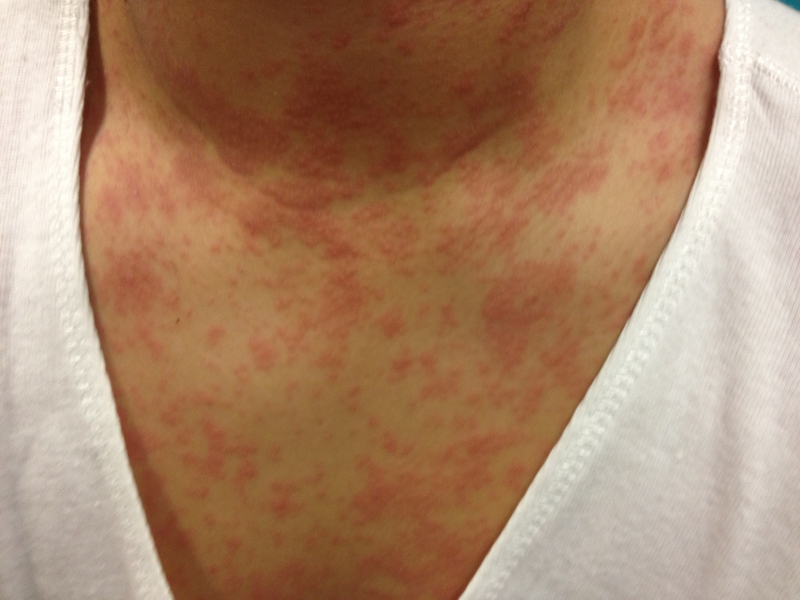 His parents are concerned as this rampant red rash has rapidly spread across his body overnight…. You “spot” something else that gives you the diagnosis ?? What’s the “spot” diagnosis ? The most common vaccine-preventable cause of death among children. A highly contagious, endemic viral infection. Peak incidence: Winter to Spring. ~ 4 days after rash appears. Decreased by 99% since vaccine introduction in the 60’s. > 95% immunity required to prevent epidemics. High fevers & URTI symptoms. Associated malaise, photophobia, eyelid oedema & myalgias. Exanthem develops ~ 14 days post-exposure. Centrifugal pattern: central to peripheral. Hairline –> face –> chest –> abdomen –> feet. 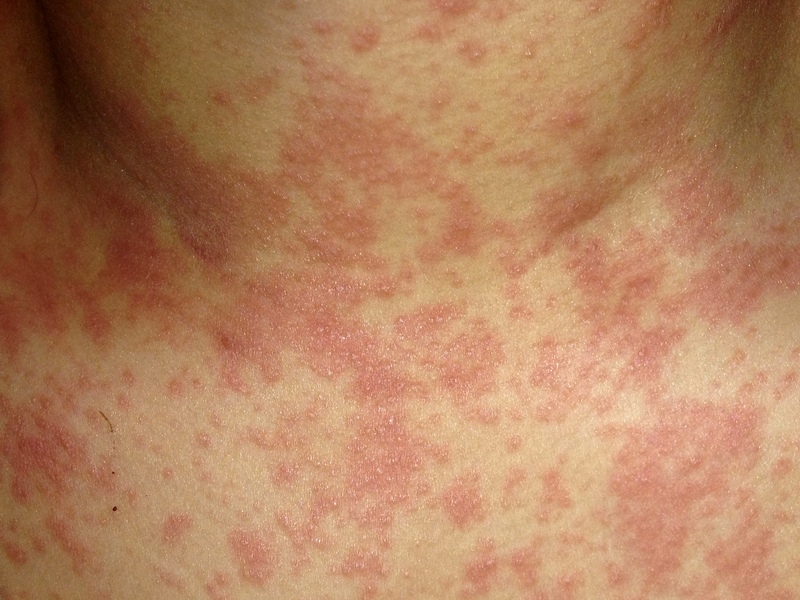 Reddish-brown, erythematous maculopapular rash –> confluence (morbilliform). May have desquamation during healing phase. 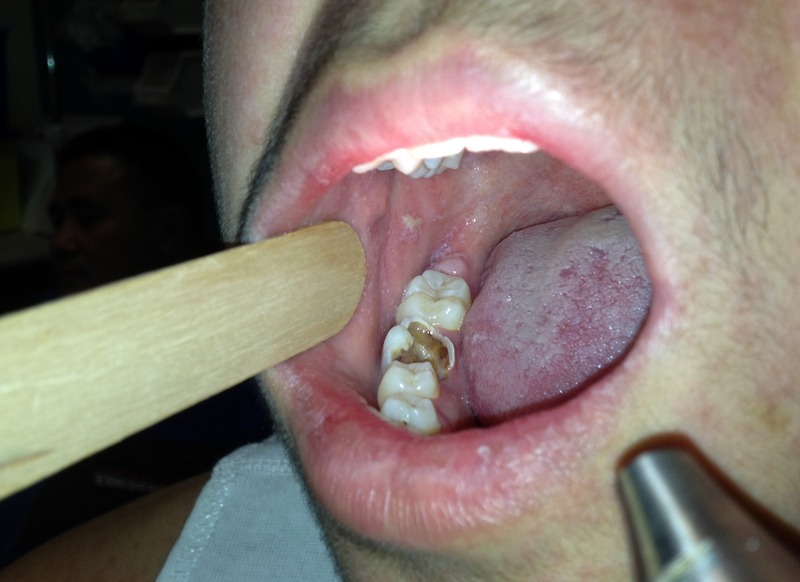 ~1mm white lesions (with bright red base) on buccal mucosa, opposite lower molars. Present 1-2 days prior to rash. If positive –> confirms disease. Detectable for ~ 1 month after rash onset. from nasopharynx, blood or urine. What potential complications should we look out for? 40% die or have severe neurologic injury. Ataxia, agitation, vomiting & seizures. 2-10 years after measles infection. Consider in children 6-24 months (needing admission). Maintain standard & airborne precautions. If staff have no prior immunity, vaccine provides permanent protection & may prevent disease if given within 72 hours of exposure. Preferable to IG (which can be given up to 6 days post-exposure), as this immunity is temporary. All suspected cases MUST be reports to Public Health for contact tracing etc. What about the pregnant Auntie ?? The short answer is YES !! Exposure can lead to miscarriage, premature labour or stillbirth. Consider use of measles immunoglobulin. Does not prevent complications, but may attenuate disease severity. Do NOT have MMR vaccine if you are already pregnant. If in doubt, the auntie should see her GP as soon as possible.